Two players on opposite teams high-five after the second game of Buddy Ball on Saturday October 20 at the Eastmonte baseball fields. “Good game” high-fives and fist-bumps are a commonality at many sports games including Buddy Ball and are used to promote sportsmanship. 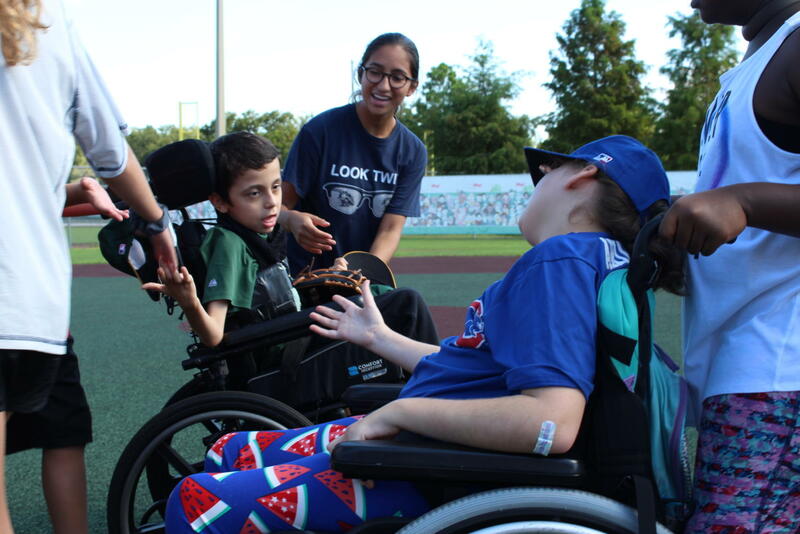 Central Florida Bambino Buddy Ball is a non profit baseball program that brings together kids who have special needs ages 5-20. They regularly have volunteers come to the games in order to help the players around the bases and bat. 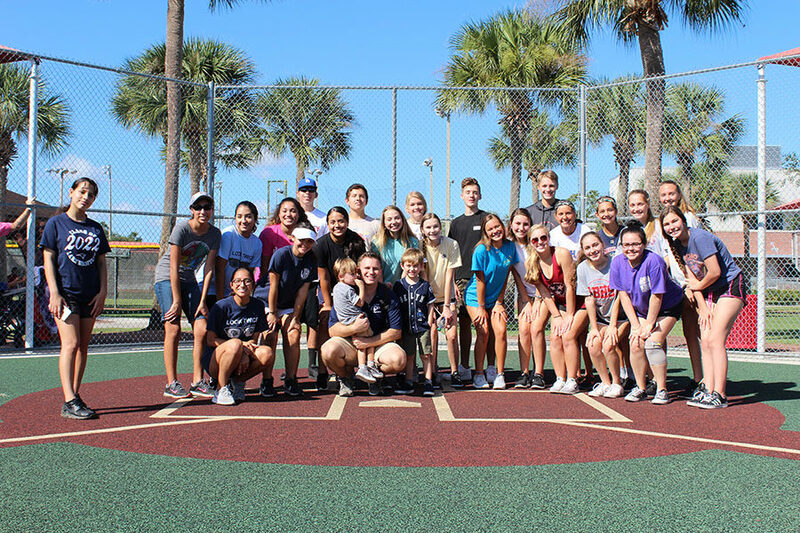 Twice a year Interact Club, sponsored by English teacher Kent Kersten, teams up with the Buddy Ball program play a friendly game of baseball. This year’s Buddy Ball took place at the Eastmonte Park baseball field from 8:45-11 on Saturday, October 20. Many Brantley students participated, making it lots of fun for everyone involved and earning them volunteer hours.